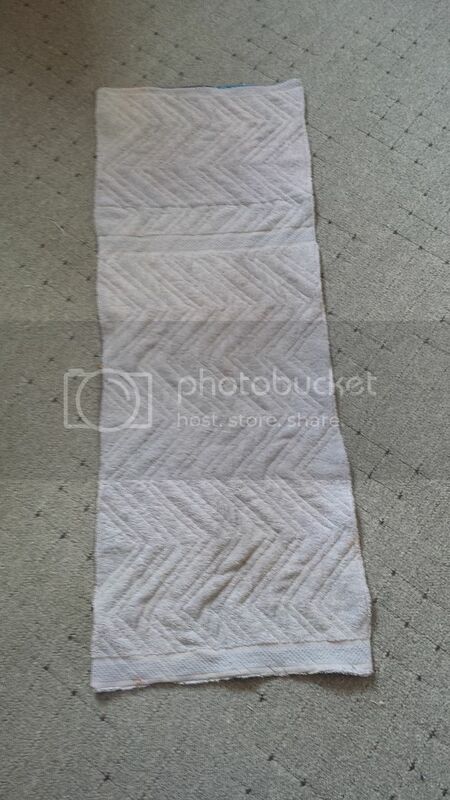 I have finished the shoe mat that I was making a few weeks ago. A lot of you expressed horror that I would put muddy shoes on such pretty fabric, but hey, it's better than putting shoes on ugly fabric! 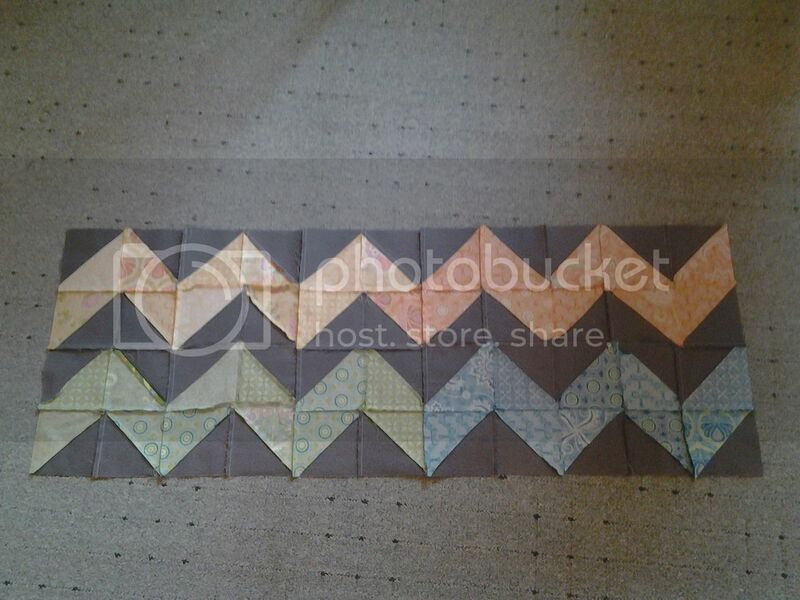 I made a panel from HSTs in a chevron design. I used a charm pack of Fancy by Lily Ashbury and some Kona Coal. 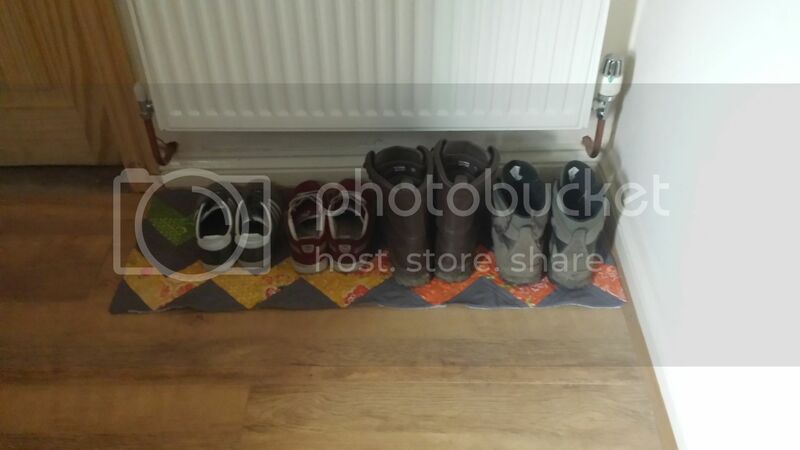 The finished mat measures about 40" x 16" so it's long and skinny and it fits perfectly underneath the radiator. Here is a picture of the back. I have no idea why I've taken a picture of the back or why I might have thought you would be interested to see it! 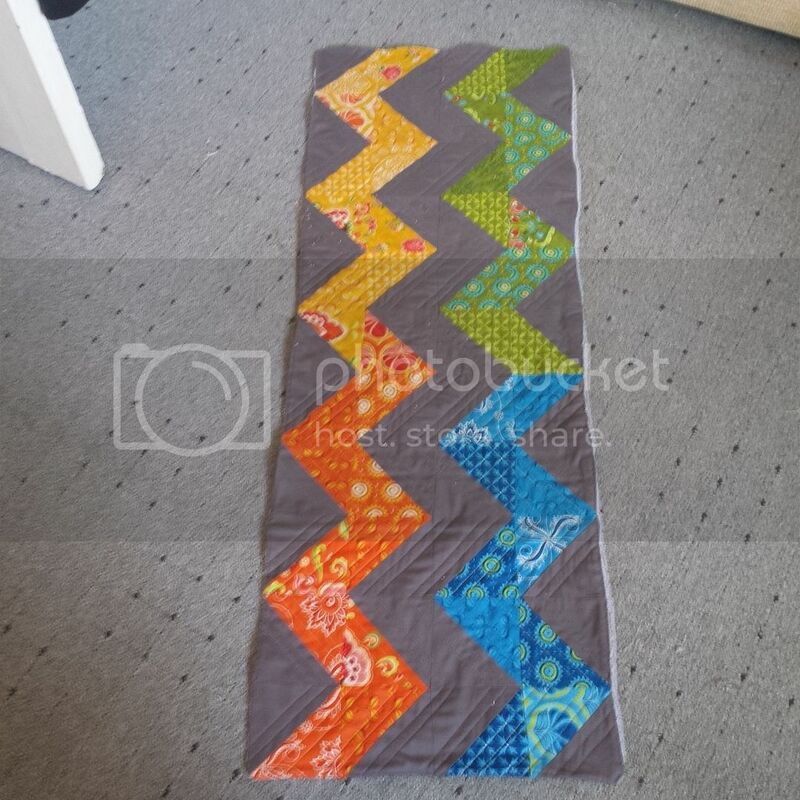 I layered it right sides together with an old towel, sewed all round leaving a gap, then turned through. Anything to avoid binding! 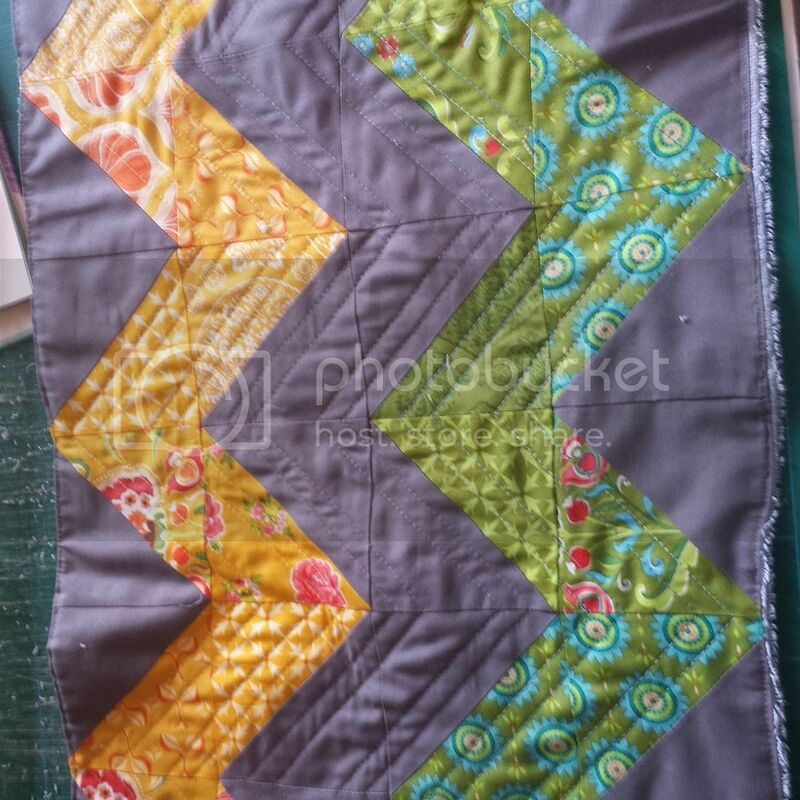 I quilted it with my walking foot, just echoing the chevron. 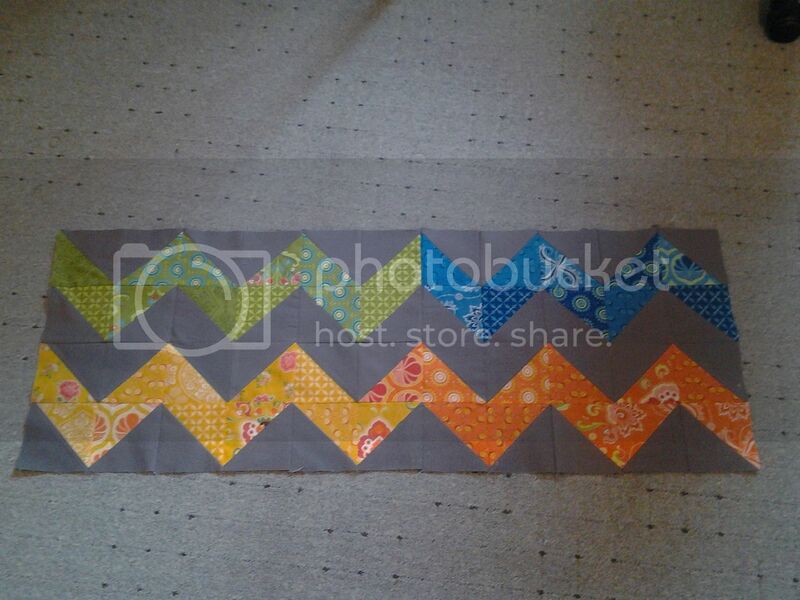 I was hoping to avoid quilting the outer edge as it would be lots of stopping and starting, but it just doesn't look right without quilting. 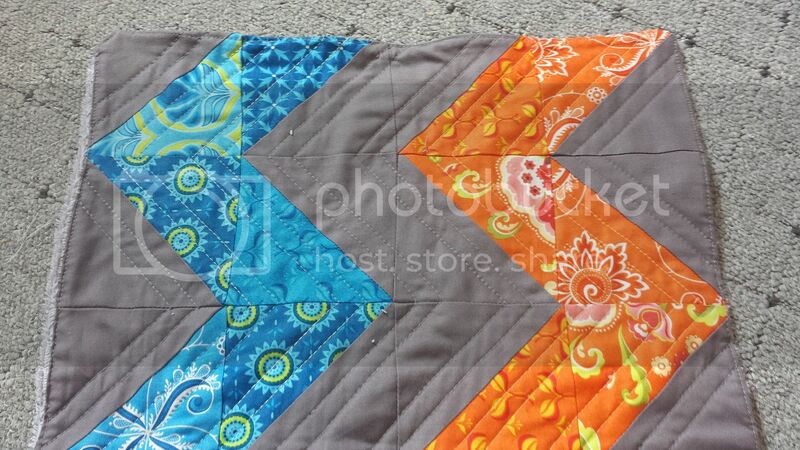 I chose to only do two lines of quilting in the triangles though. I think it looks pretty cool from the back. And here it is complete with muddy shoes! And since I take it all the fabrics are cotton, you can throw it in the washing machine every now and again. Better than one of those scratchy coir mats! It *is* gorgeous, but I would kick a$$es if anyone put dirty shoes on it, lol. Brilliant Wendy, this is lovely. Love it- and the towel backing is genius!